My good friend and fellow printer Ilse Reimnitz and I shared our print passion with 9 students this past weeknd. 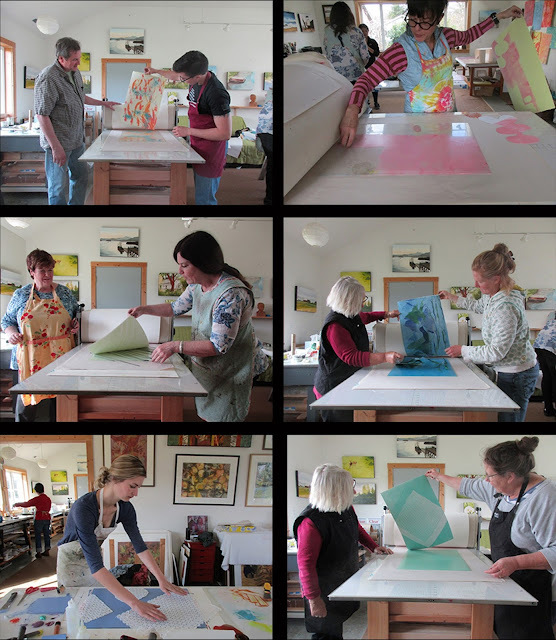 Most of them were new friends and new to monotype print. Ilse introduced me to monotype 20 years ago. It continues to be my inky hands-down favorite way to make imagery!